You can book a ferry to Sardinia from 5 regions or countries: Corsica, France, Italy, Sicily and Spain. There are 21 routes to Sardinia, including Ajaccio Porto Torres, Barcelona Porto Torres, Civitavecchia Arbatax, Civitavecchia Cagliari and Civitavecchia Olbia. 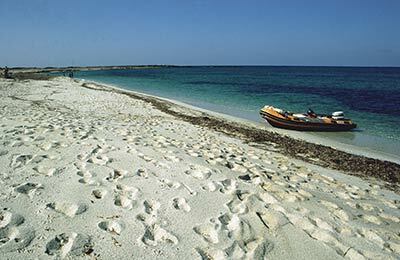 You can also travel to the island of Sardinia between the ports of Arbatax and Cagliari. In total there are seven shipping companies that offer ferries to Sardinia: Corsica Linea, Corsica-Sardinia ferries, great fast ships, Grimaldi lines, La southerner, Moby lines and Tirrenia di Navigazione. Booking a ferry to or from Sardinia couldn't be easier with AFerry. You can either use the booking form at the top left of the page. Or, if you see a price you like on the left, just select the number of passengers and click go. Puoi anche prenotare un traghetto per la Sardegna in italiano. Sardinia is the second-largest Mediterranean island (after Sicily), and is a constitutional part of Italy. Sardinia has a long and rich history; human remains dating to around 250,000 B.C. have been found on the island. 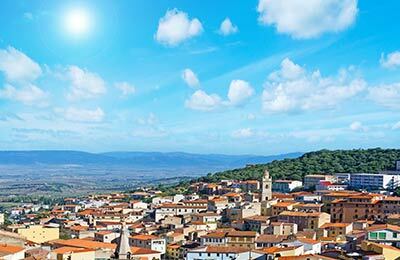 Sardinia is a mountainous and fertile island that enjoys a warm, Mediterranean climate and attracts many visitors with its beautiful scenery, historic sites and pleasant coastal resorts. The island will definitely appeal to all lovers of nature, whether you prefer sea, raging rivers, mountains, hills or forests. Getting your hiking boots on and wandering around the scenery is strongly recommended for any visit to Sardinia. If you're in Sardinia to relax then do not fear, as local restaurants provide a great range of food. It is unlikely however that you will be served before 7pm, so don't have an early lunch! Sardinia is one of the large islands (and technically an administrative district) off the Western coast of Italy. It is famous for being the sort of Mediterranean place where you can do all those distinctively Mediterranean things - swim, dive, eat, sunbathe, hike, sail and cycle. If you don't want to get anywhere particularly useful in any particular hurry, a train or a bus is a good way of getting around Sardinia. Assuming you don't want to meander very slowly towards a small shack in the middle of the island, it is suggested that you hire a car. Roads are narrow, so careful driving is required, but it'll give you much more freedom to move around and see those places you've always wanted to see. It could be a good idea to get a GPS to reduce map-reading rows. Finally, be careful of livestock, which live under the mistaken idea that the roads were built entirely for their wandering pleasure. Drive with caution! Assuming you don't want to meander very slowly towards a small shack in the middle of the island, it is suggested that you hire a car. The coast of Sardinia is stunning, though you should be careful of strong currents. Things to see in Sardinia. The island will definitely appeal to all lovers of nature, whether you prefer sea, raging rivers, mountains, hills or forests. What Sardinian mountains lack in height (they really are the garden gnomes of the mountain statue world), they make up for in drama, boasting an impressive display of craggy cliffs. Hiking is a great way to see this nature and there are many marked out trails for all difficulty levels. Be very cautious of where you swim around Sardinia. There are often strong underwater currents. Please ask a local before you go and swim. Local restaurants provide a great range of food, though it is unlikely you will get served before 7pm in the evening. Also, be aware that Cannonau is a very strong red wine, so be aware how much of it you are drinking - though it is definitely very tasty. Local restaurants provide a great range of food. Sardinia has some beautiful scenery. 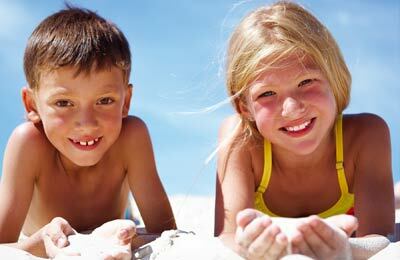 AFerry.co.uk offers the best way to find the cheapest ferry routes to Sardinia with its easy to use booking form. Begin your holiday on a ferry and start relaxing straight away!